And ensuring the safety and long span of life of the medical products. Since, packaging for pharma products really matters in the pharmaceutical industry, so Paras Printpack makes it its whole sole priority to provide a flexible range of quality laminated packaging for all your medical needs. As we are the leading Pouch manufacturer and serving for almost 18 years in the region of Delhi-NCR, we offer a broad assortment of all printed/unprinted flexible laminates in pouch form or roll form that are suitable for all pharma packaging requirements. Our comprehensive array of pharma pouches involve transparent or unprinted pouches, stand up pouches with handle, center seal pouches, and several other puncture resistant pouches that are suitable for safe pharma product packaging. Resistant to external factors like moisture, light, dust, water and smell. 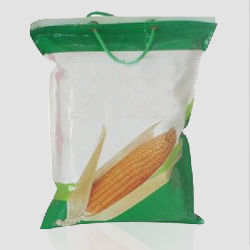 Suitable for packaging of solid & liquid pharma products. Size flexibility to make room for medical packaging requirements. Our pouches like stand up pouch with handle also offer a moisture & contamination free environment for your pharma needs. They are additionally incorporated with handles to offer you a user-friendly grip which make it convenient, portable and handy. Our laminated pouches are manufactured in different colours and sizes and come in different sizes & shapes as per your pharma needs.